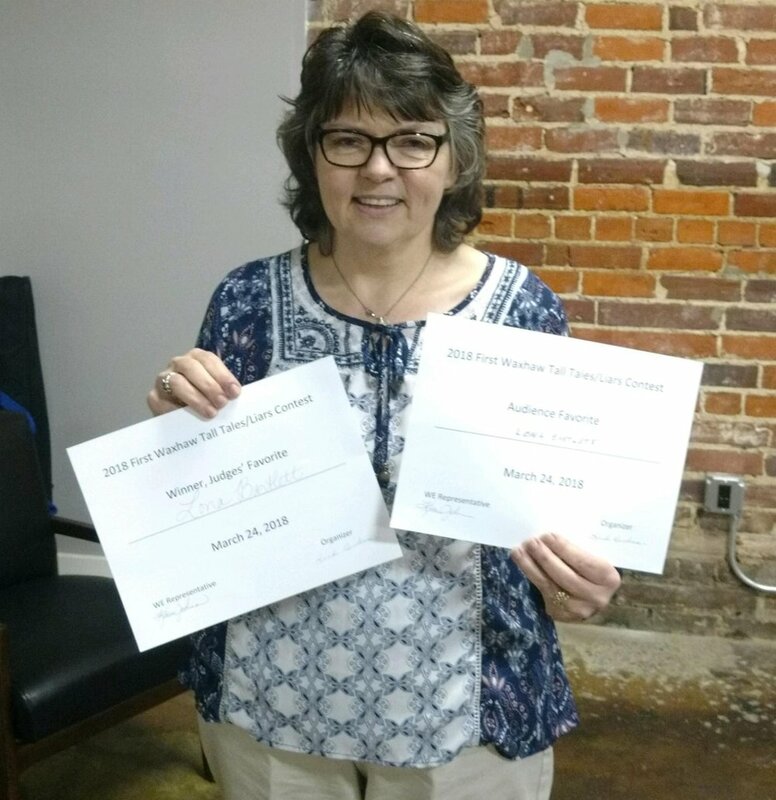 Lona Bartlett won the first Waxhaw Tall Tales & Liars Contest, picking up both the Judges' Favorite and Audience Favorite awards. A Tall Tale/Liars competition features tellers sharing stories with at least one component that is not and could not possibly be true. (Remember those fish stories that the old-timers love to tell? Did Davey Crockett really kill a bear when he was only three? Those are examples of tall tales.) 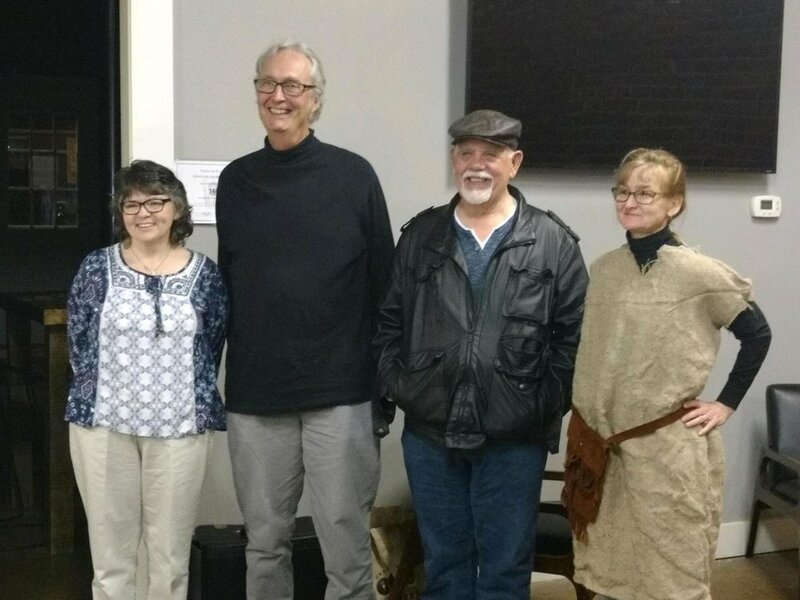 The event featured storytellers from Waxhaw and beyond. 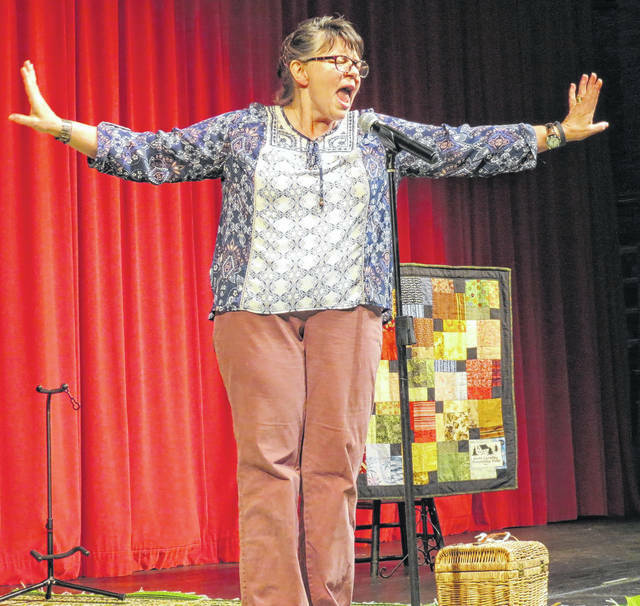 Lona Bartlett, a storyteller and puppeteer from Charlotte, is a study in emotion while performing on the Andy Griffith Playhouse stage Saturday during the Tarheel Tellers Storytelling Festival. Unlike an ideal autumn period offering crisp air and colorful foliage framed by a blue sky, this past weekend was misty, cool and dreary — in other words, perfect conditions for storytelling. And the stage of the Andy Griffith Playhouse in Mount Airy was the perfect location for the Tarheel Tellers Storytelling Festival, presented by the North Carolina Storytelling Guild Saturday and Sunday. Six master storytellers wove an array of tall tales, riveting accounts of real-life events and amusing anecdotes that regaled enthusiastic audiences.